FREE. Registration Essential. Please RSVP HERE (opens in a new window) before 5 June. Light lunch provided. The Dictation Test lay at the heart of the White Australia policy for much of its existence. 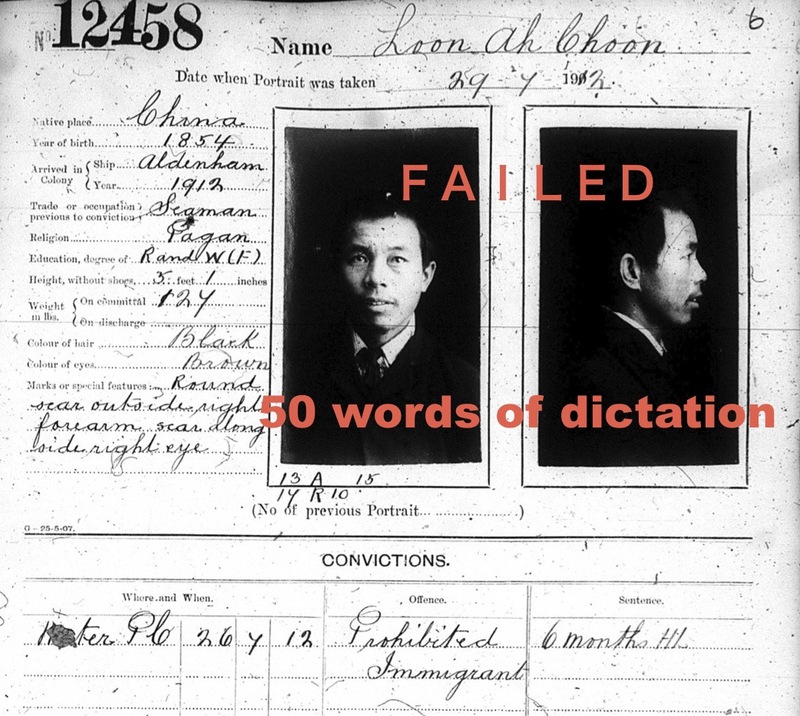 Despite this long history and its largely being directed at Chinese people, confusion about just exactly what the dictation test was and how it was implemented also existed throughout this time and much confusion remains even today. This confusion and ignorance is no coincidence, for the original administrators of the test and the Immigration Restriction Act of which it was a major instrument began by attempting to keep aspects of its operation a secret. This talk will explore the history of the dictation test in an attempt to tease out some of the various issues and contradictions this 'test' generated. Dr Michael Williams, Adjunct Fellow WSU, is an historian of the Chinese Diaspora and a founding member of the Chinese Australian Historical Society. His current research involves a history of popular perceptions of the Dictation Test, a history of Chinese Opera in Australia, and a comparative study of Australia's pre-1949 Chinese-Australian history with its post-1989 history.